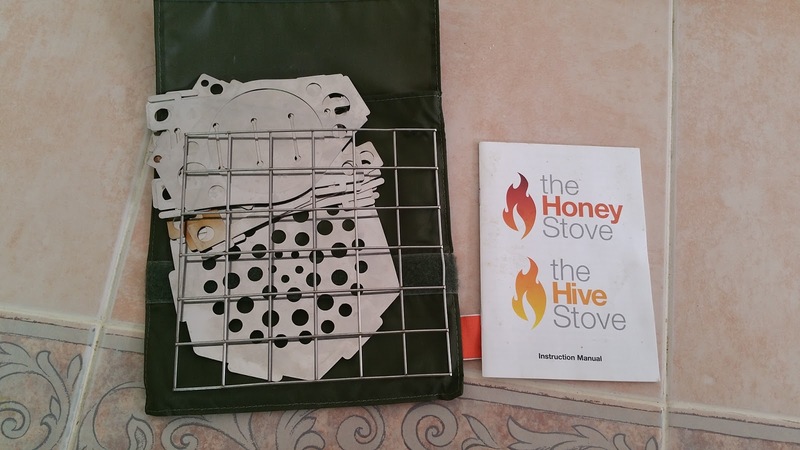 Although I had seen them around and heard people raving about them for quite some time I was quite happy using my Crusader Cook Set, but then I received a Honey Stove from my secret Santa on the P2S forum last year! Since owning one and testing it out in the real world I am now a convert. I love that it folds completely flat so is easy to find space of in my pack and that I can choose to use only some of the parts to make it lighter or take the whole kit if I need to cook for more than just myself. The fact that it can use almost any kind of fuel also makes it so versatile. 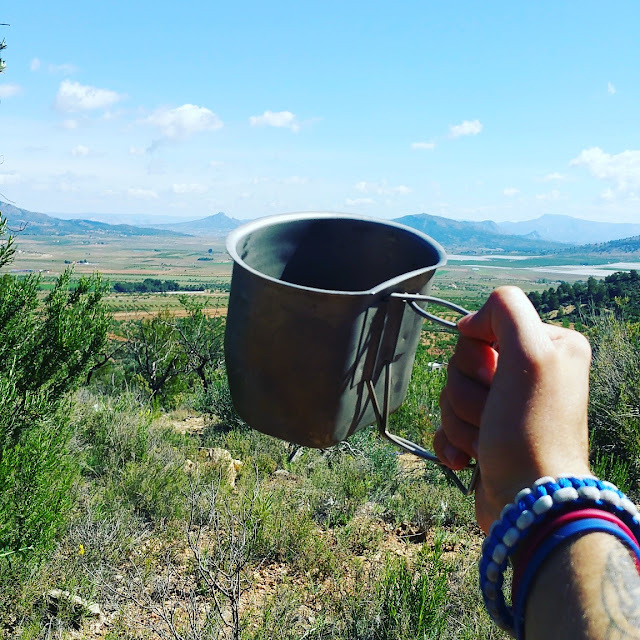 If I run out of alcohol/meths/hexamine whilst I'm out this little stove will be just as happy boiling my brew with a handful of twigs. 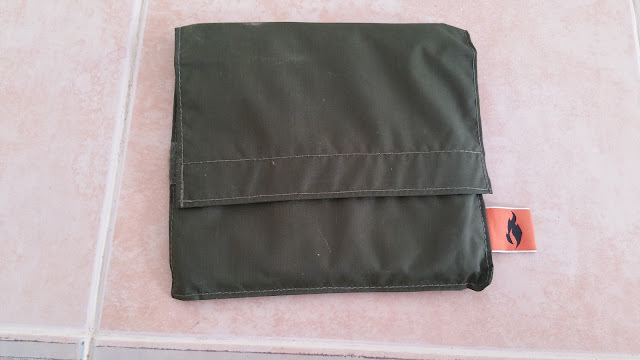 It comes neatly packed away in a small ripstop bag that houses all the pieces and a little instruction manual to boot. 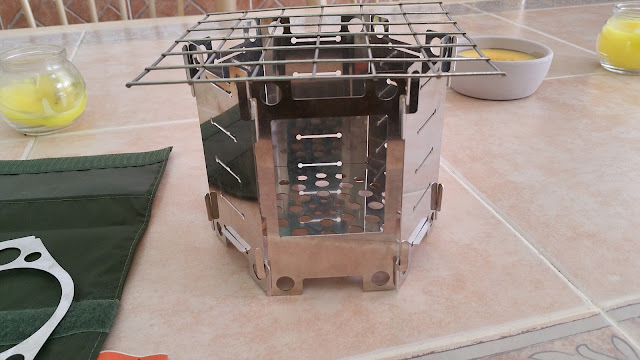 And just in case that didnt give me enough options, it also has a plate especially to hold a trangia spirit burner when in hexagonal assembly. 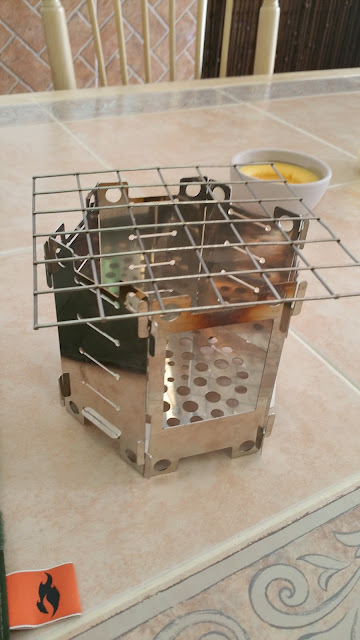 All in all it's a fantastic compact stove that's perfect for hiking, camping or any outdoor pursuit, it is now my go to stove when I'm out in the wild. So if you have been thinking about buying one I would highly recommend the Honey Stove, There are similare collapsible stoves available slightly cheaper but since I don't own them I cannot comment on their quality, from my experience with it the Honey Stove is incredibly robust and will no doubt last a lifetime. What a neat little gadget, no doubt it's going to be well used. Very neat planning, must be nice to set up a fresh brew etc on the go. 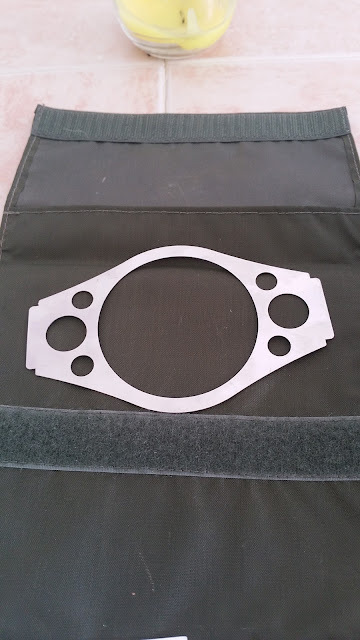 That's a nice piece of kit. 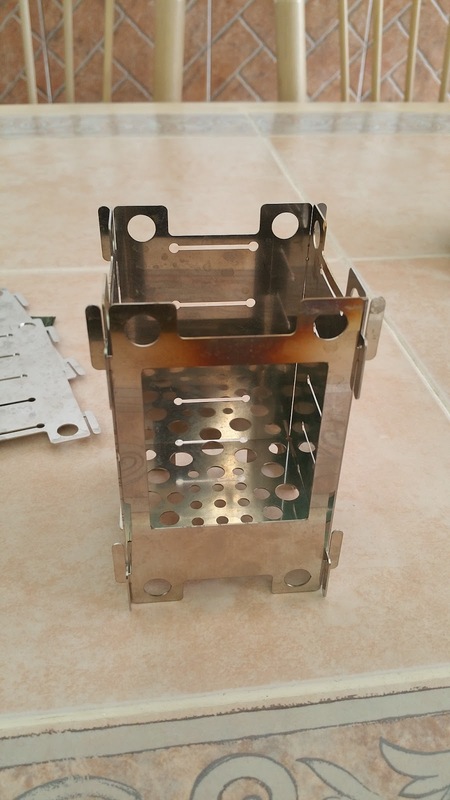 have you ever used a rocket stove? What an incredibly handy item to have! That looks like a cool gadget to own. My daughter is just moving up to Explorer scouts, lots of camps and day hikes planned. There's a thought for a present. 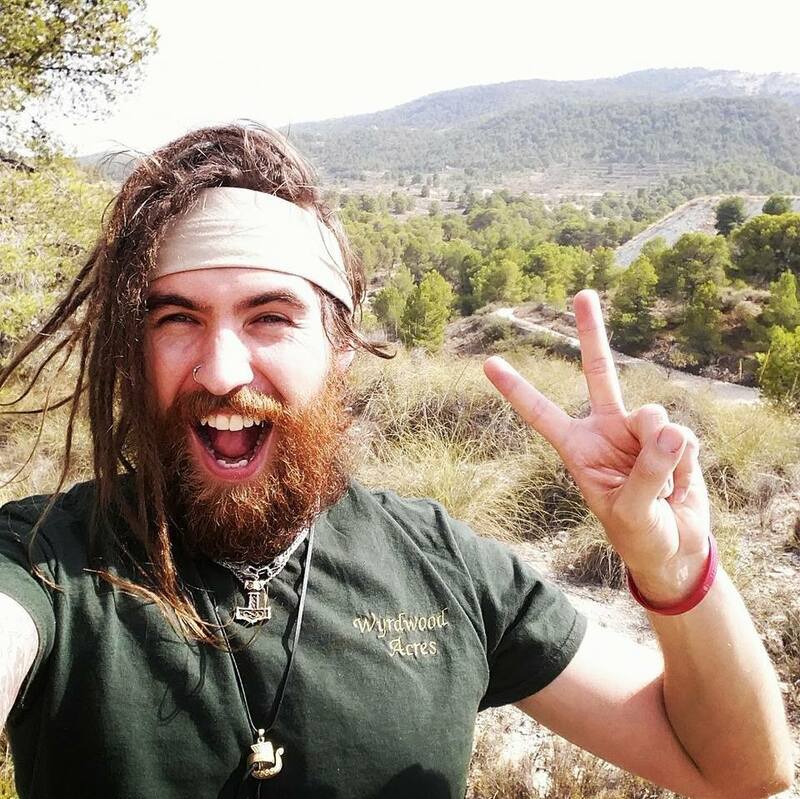 Really wonderful recommendation! My husband likes one that will use different fuels, and is also compact. 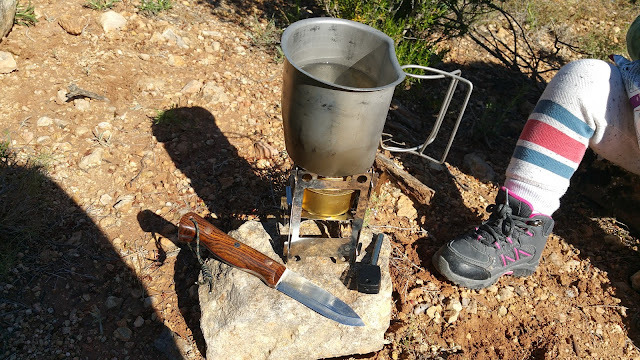 We use a Solo stove and a Svea 123 R, most of the time. I haven't the desire to hike with a stove, but I'm glad I read this post. I just finished the book "wild" and it helps me understand how she cooked her food ( when she did)!! This written work has imparted a specific trust in the group of onlookers.